While owning a dog is a huge responsibility, it's also one of the most rewarding life experiences that you can ever have. There's more than one reason that dogs are referred to as a man's - and woman's - best friend. Invest some time in making sure that you're aware of the basic information pertaining to each of these topics. Your dog owning days will be enhanced greatly if you do. Old Duke won't mind the time you spend away from scratching his ears and rubbing his belly to catch up on this important information. If you're still undecided about getting a new dog or adding yet another one to your existing family, we're going to identify the expected benefits as well as some unexpected bonuses of allowing a dog into your heart and home. We'll be realistic with our input by presenting you with the financial facts and figures associated with being a responsible dog owner. We'll continue our honest analysis by identifying the pros and cons of dealing with various dog sources. Regardless of where your search takes you for the perfect dog, we'll also give you some pointers on how to select the healthiest dog you can find. To make your dog's arrival a joyous and safe event, we'll share some advice on how best to prepare your house for your new canine companion. From having the right supplies on hand, to being prepared for the possibility of the dreaded doggy odors, and right on into an article identifying ways to protect your pooch from potential harm in and around your house, we'll provide you with a number of ways to make your dog's transition a successful one. To be prepared for any emergencies, we'll guide you through the interview process of choosing the best veterinarian for your furry friend. If you're in need of a few good reasons to have your dog spayed or neutered, we'll give you a whole list of them. We'll also provide you with a number of suggestions for both indoor and outdoor activities to keep Fido in prime physical condition. Flea and tick control options will be broken down and discussed in relation to medicated choices and natural products. We'll throw you a bone by discussing the proper feeding of Fido including everything from dish selection to the almost endless array of food choices. The options for canine supplements and treats will be reviewed as will a long list of hazardous items that your dog might one day ingest. To enhance your dog grooming sessions, we'll present tips to make the most of each occasion and we'll help you identify the best bathing products to help get your dog squeaky clean. If you're reluctant to spend time grooming your buddy, we'll give you the low-down on both the short-term and long-term benefits associated with such a practice. 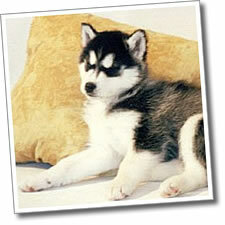 To cover all of the grooming options, we'll also discuss the process of finding the best beautician for your bow-wow.